Superbowl Sunday is just around the corner, which means bite-sized snacks are making their big 2015 debut! I am definitely a fan of sliders, and that’s probably a direct derivation from also being a fan of burgers. But there are definitely some clear advantages to cooking up these bad boys. You feel less guilty about eating one. You and your guests can stop when you are perfectly full—none of that “if one then hungry, if two then stuffed” business with full-sized burgers. You can cook 6-8 of them at once in a large frying pan without needing to worry about getting the “perfect medium rare.” Their small size keeps them juicy and they’re hard to overcook. Buffalo-style anything is big this time of year, and putting together a buffalo slider would be a great game time companion! But seeing as I had a lot of pico de gallo salsa to go through, decided to create open-faced “bruschetta”-inspired sliders, with a French baguette base. They’re beautiful to look at, and delicious to eat! Ok, so I teased a little when I said “bruschetta.” They’re closer to Mexican-inspired sliders that happen to have baguette buns instead, but let’s put that aside for now. Another great attribute of sliders is that you’re free to create just about any slider combination you want; given a solid “slider base” (the burger part), your toppings, bread choices, and flavor combinations are seamingly endless! What are your favorite slider creations? Enjoy and create! 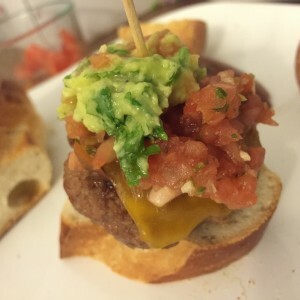 A fun twist on the slider (mini burger) and a tribute to finger food. 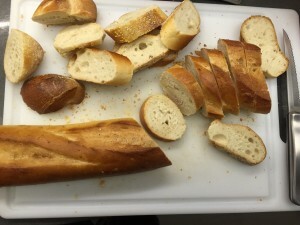 Slice baguette into slices, about half an inch thick. Cut cheddar cheese slices into 2x2-inch squares. 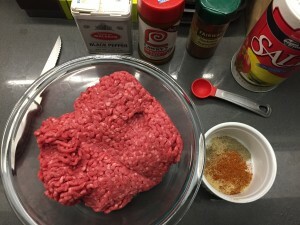 In a large bowl, mix ground beef with dry ingredients. Shape into 1 ⅓ cup-sized meatballs; carefully press opposite sides of the meatball with your palm/fingers to create a fat slider patty. Set aside slider pattys on a foil-lined baking sheet or similar. Heat 2 tbs olive oil in a large frying pan on med to hi-med heat. Reduce heat to medium when hot. 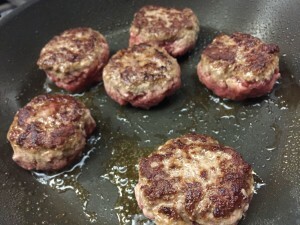 Place 6-8 (however many will comfortably fit without touching) slider patties in the frying pan and sear for 4 minutes on one side. Flip and sear for 4-6 minutes on second side. Flip ONCE more for another 2-3 minutes and place cheddar slice on top to melt. Move prepared sliders onto tray lined with paper towels to remove excess oil. Repeat until all sliders have been cooked. Place prepared patties (cheese side up) on baguette slices. Garnish with a generous tablespoon of pico de gallo salsa, and spear with a toothpick. How about that guacamole?! Visit again for my special “loaded guacamole” recipe in the next food post! 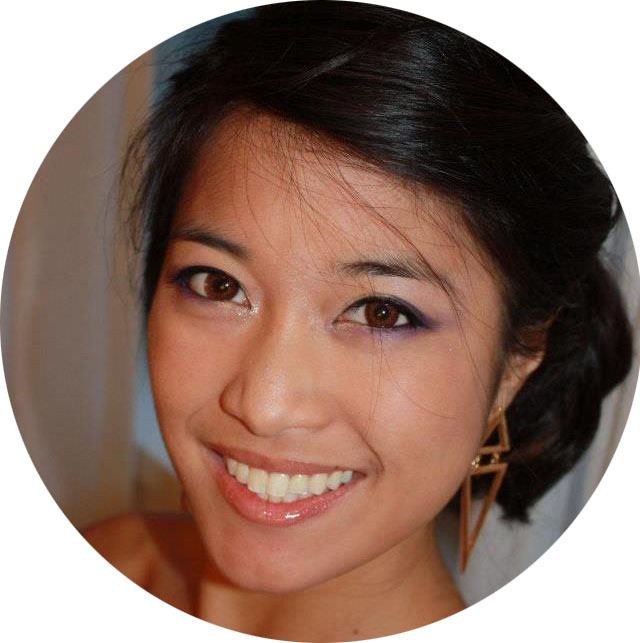 « The obligatory first post: Hello, World! Love the idea! And the mex touch will complement any nacho/beer combo to follow. 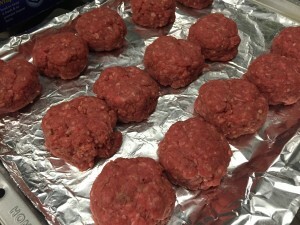 Definitely–I use the “freeze til ready” tactic with meatballs (when I make too many at once) and they still turn out great! I want to learn the guacamole. Teach me! When is it gonna be posted, yo?